You may have heard that you have to cut beer completely out of your diet to get rid of a beer belly, or prevent one from appearing. If you are someone who enjoys a few cold beers, then you would probably find that news slightly upsetting. I don’t like to see anyone unhappy. That’s why I want to share with you 5 ways to lose the beer gut and not the beer. Your top priority should be to train at a high intensity and volume. Exercises that work big muscle groups like legs, and back should be the focus. Back squat, front squat, and bent over rows are some great examples of those types of exercises. When more muscles are used, more calories are burned. You should make time to train like this at least 4 days per week. Training like this will promote a significantly higher metabolism. It takes a higher metabolic rate to maintain lean muscle as opposed to fat tissue. You may not see much of a difference on the scale as you gain muscle and lose fat tissue, but don’t freak out. Men and women alike tend to neglect this type of training because they think losing weight should be the first priority. What the scale says should be secondary to body composition. Stick with the training and give the results time. Most diets fall short of the essential fat DRI. Fatty acids like Omega 3 are included in this group. These fats are essential because your body can not make them. You have to get them through diet. They play a role in maintenance of metabolism. 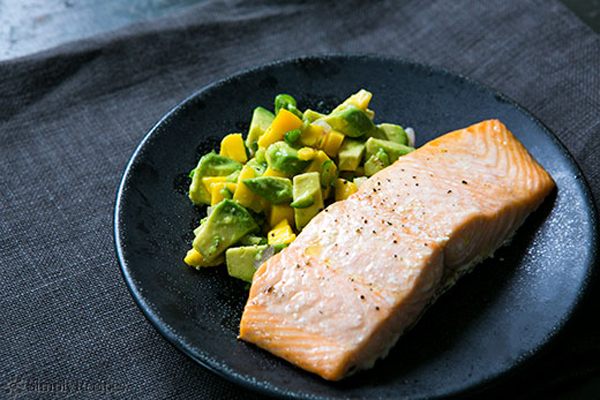 These fats can be found in fish, especially salmon. Avocados, nuts, and olive oil also contain essential fatty acids. 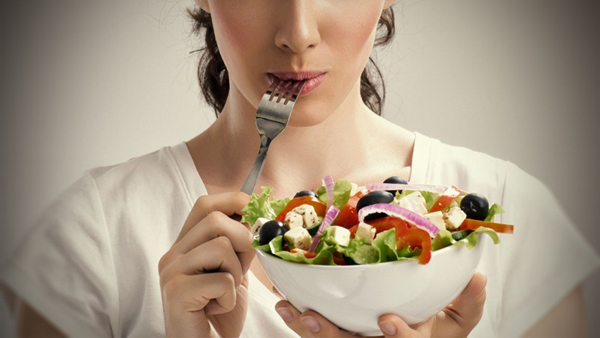 Not getting enough fat in the diet triggers your body to crave foods high in fat, which tend to be very unhealthy. So get good fats into your diet to keep your metabolism high, and stop those cravings for bad fats. Even some fitness fanatics may tell you that running miles is the best way to lose a gut. I would have to humbly disagree. Although jogging for long distances will burn lots of calories, it is just very inefficient. It also takes a long time to burn a significant amount of calories this way. Lastly, glycogen is the main fuel source as opposed to fats (which is what we are trying to lose here). Anaerobic cardio like running sprints, or anything else that involves short burst of energy, burns calories in a shorter period of time. It also targets body fat as the main source of fuel. That seems like a no brainer to me. 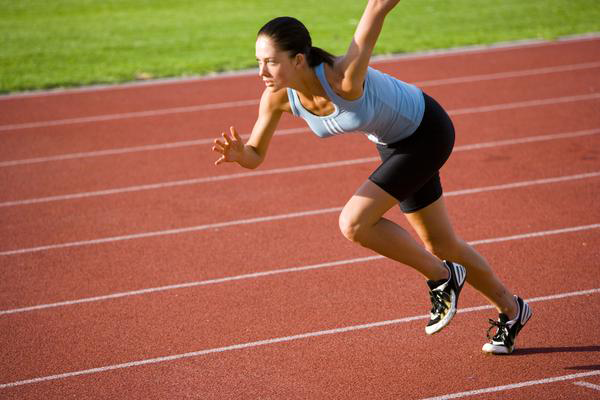 Even if you are short on time, it only takes 10-12 minutes to run 10 intense sprints. Theres no excuse. It’s no secret that beer has a descent amount of calories in it, and they add up. The mistake that a lot of people make is to just not eat in order to make room for the beer calories in the diet. You have to eat real food in small amounts throughout the day, starting with a good breakfast. Breakfast tells your metabolism that it’s time to get ready for an active day. If you plan on just not eating, you will only hurt yourself in the longrun. Your metabolism will be running low, and the calories that you consume will be harder to knock off. Check out the article, Why You Have To Eat To Lose Fat, to find out why not eating isn’t smart in general. Drinking beer decreases stress levels. There have even been studies that suggest that one or two beers may help students study for tests because it decreases the stress of the work. High stress levels may play a role in keeping that gut. Also, take a look at the article, How Can You Reduce Stress With 7 Easy Lifestyle Changes? 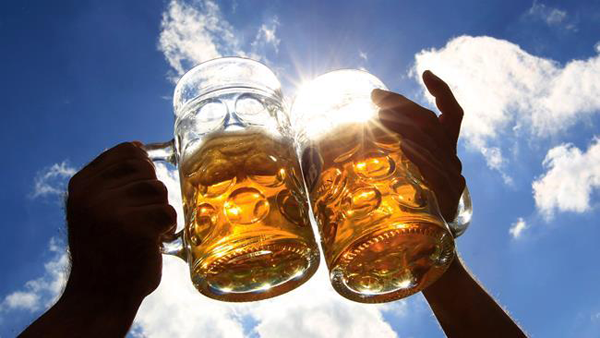 German researchers have done studies to suggest that beer may play decrease the chance of heart disease. Beer also is packed with B vitamins and minerals from the wheat and yeast that it comes from. There is nothing wrong with enjoying a beer or two. Moderation is key in this situation. Consuming more than a few beers will inevitably provide you with a nice round gut though. By all means keep your beers, but you can’t go overboard. You can keep enjoying your beer and still get rid of that beer belly, and keep it off. It will take some moderation and training but it works. Try these 5 ways to lose the beer gut and not the beer. Share this with your beer loving friends on facebook. If you have any fitness questions, or if there are any topics you would like me to cover, contact me.